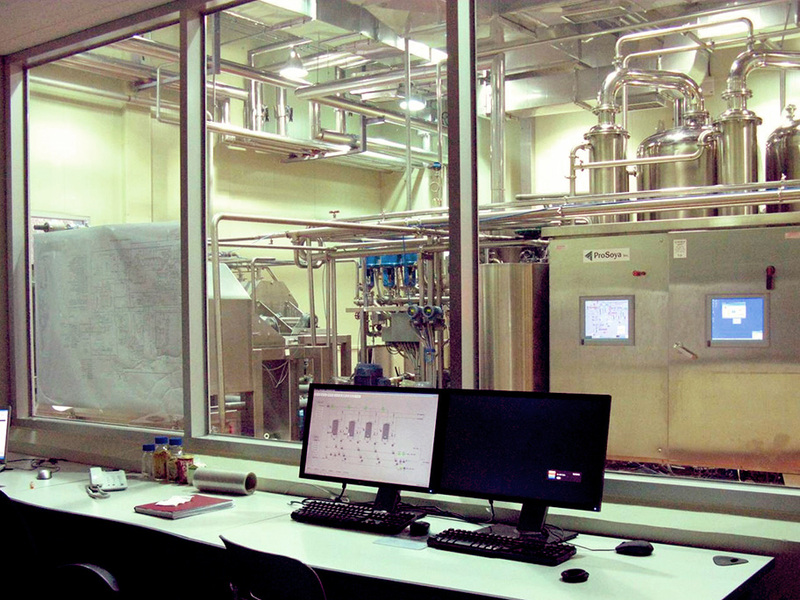 ProSoya offers complete process line for Soy Protein Isolate for capacities ranging from 100 Kgs/hr to 2000 Kgs/hr. Soya Protein is made from soyabean meal that has been dehulled and defatted. Dehulled and defatted soyabeans are processed into three kinds of high protein commercial products” Soya Flour, Concentrates and Isolates. Soya protein isolate is manufactured using de-oiled soya flour or flake. This is mixed with water and the pH is adjusted with acid to the area of minimum solubility. 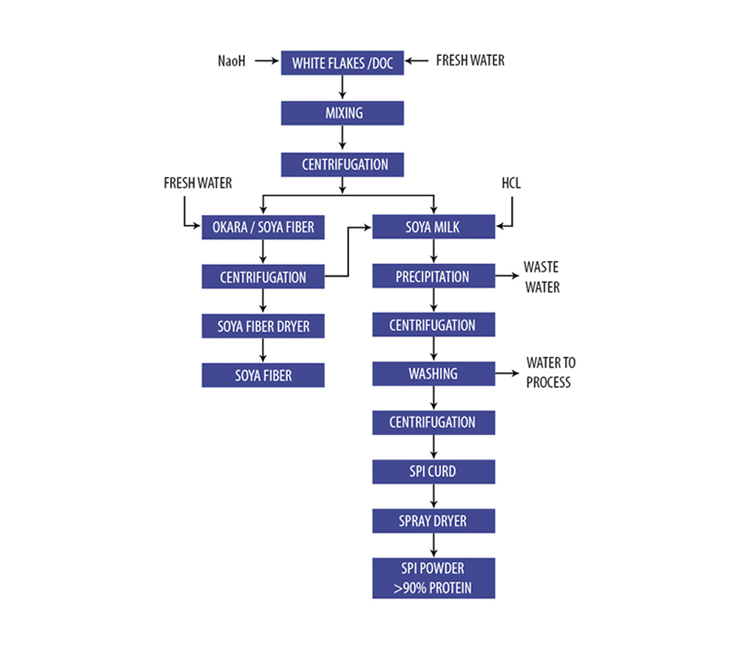 The Protein solid is separated from the soluble impurities using a decanter centrifuge. The liquid is discarded whilst the protein solid is re-slurried with a neutralising agent. Finally the protein solid is separated in a second stage decanter centrifuge and spray dried to produce powder containing more than 90% protein on dry basis.